Clay Cat Crafts :: Welcome to claycatcrafts.com! Check back often to see what we're up to! 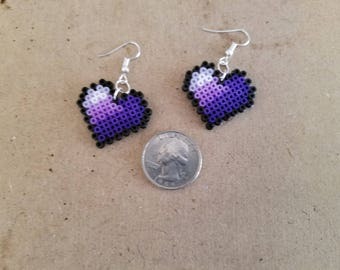 Handmade heart earrings with stainless steel hooks. Available in assorted colors. 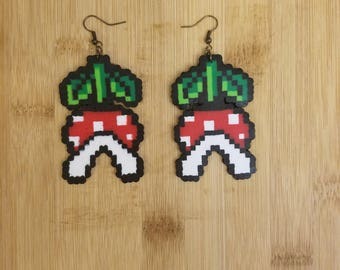 Light-weight colorful earrings featuring your favorite Mario Bros. Monsters. 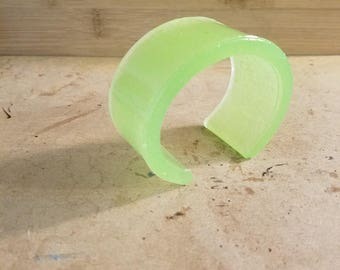 This attention grabbing cuff glows in the dark! It charges in sunlight, blacklight, and even indoor lighting! 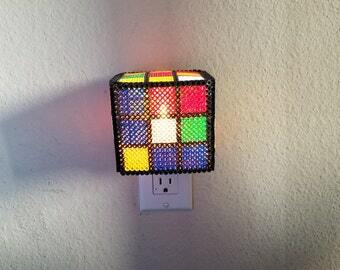 Rubik's Cube style nightlight with off on switch. Each light features a random solvable pattern. All other content © 2017 by Clay Cat Crafts.